Every plant looks great when it’s shown in a catalog, and most plants look pretty great at the garden center when they are receiving tons of care and attention. 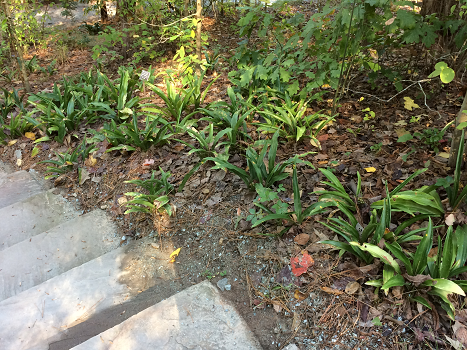 However, as someone who has gardened for over a decade I’ve learned that lots of great looking plants can fail once installed in the landscape – especially my landscape where I expect them to thrive on neglect! Read on to learn about two plants that have taken a licking and kept on ticking in my yard. When space for a tree opened up in my yard I knew that I wanted a black gum. A North Carolina native with beautiful fall color and berries for the birds, the black gum ticks a lot of boxes for me. In my yard, it has tolerated a soil that can stay sopping wet or bone dry depending on the season and it is available in a variety of cultivars/sizes as well as in a weeping form. The glossy foliage persists well into fall and the fall color really is fantastic. 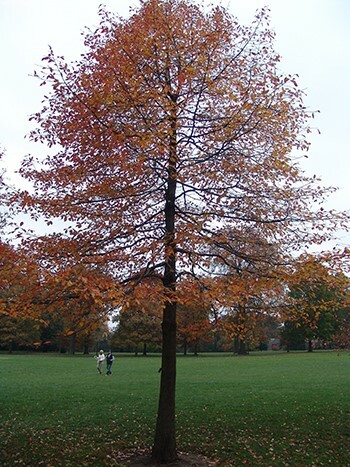 If you have space for just one tree, in my opinion, the black gum should be a contender. Rhodea japonica falls into an unusual group of plants – evergreen perennials. It has broad leaves that persist in the winter, red berries, and it thrives is shade (and on neglect in my experience). I love this plant because it adds a bold almost tropical texture that contrasts well with ferns, ornamental grasses, as well as finely textured shrubs or even exfoliating bark. Because of it’s dark green foliage you can also pair it with lighter or variegated hosta for a colorful contrast. A few years ago, I dug this plant out of a client’s garden, chopped it into pieces, tossed it into a shady section of my garden and said good luck. It has thrived both in the ground and in containers on my screened in porch. If you have a tough shady condition – give this plant a try! Interested in adding these or other plants to your garden? Contact Bright Leaf Landscaping at 919-619-4460 or fill out our online contact form. Design and installation are our expertise, and we are always happy to meet with new clients to discuss potential projects!